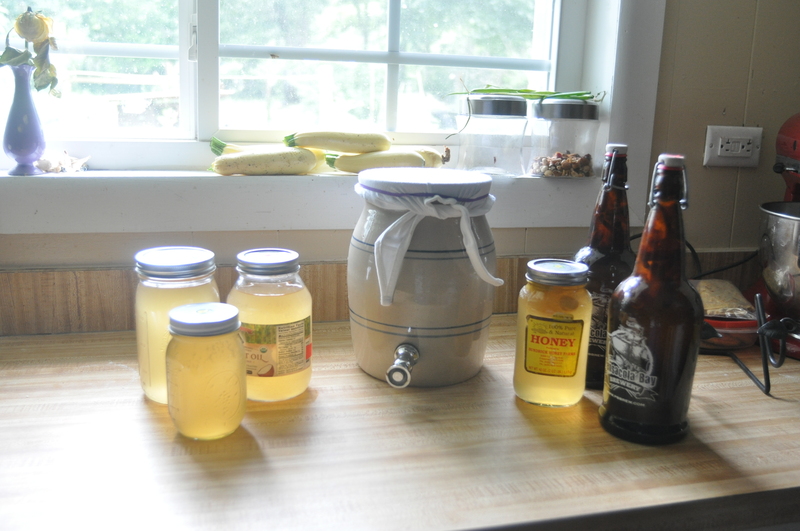 Here it is friends: a step-by-step guide to brewing Kombucha, complete with pictures. Please let me know if you have questions! You will need: 6 caffeinated green tea bags (this is what I use and prefer over black tea), a glass or ceramic 1 gallon container (absolutely no metal or plastic), sugar (I use evaporated cane juice crystals), 7 EZ cap bottles for second fermentation (or glass containers with an air-tight seal), a SCOBY, 1/4 cup of starter and patience. I messed up my first batch so don’t give up; just keep trying. It is worth it. 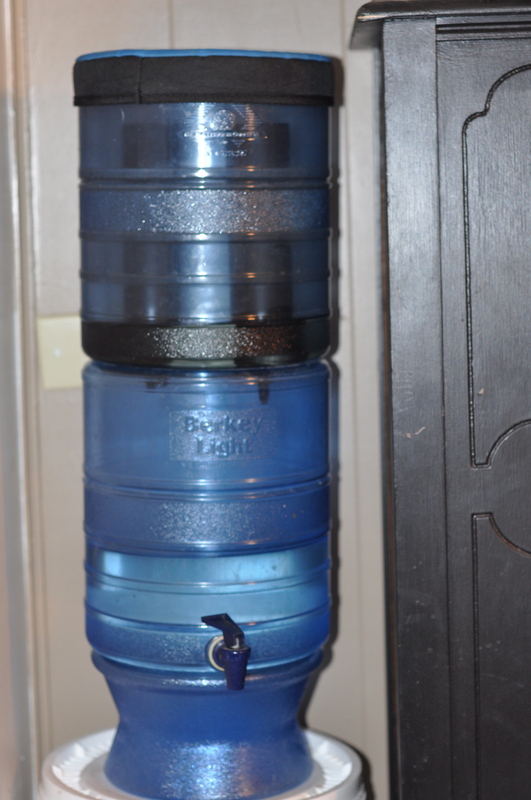 Step 1: Heat 1 gallon of filtered water (we use a Berkey) on the stove. 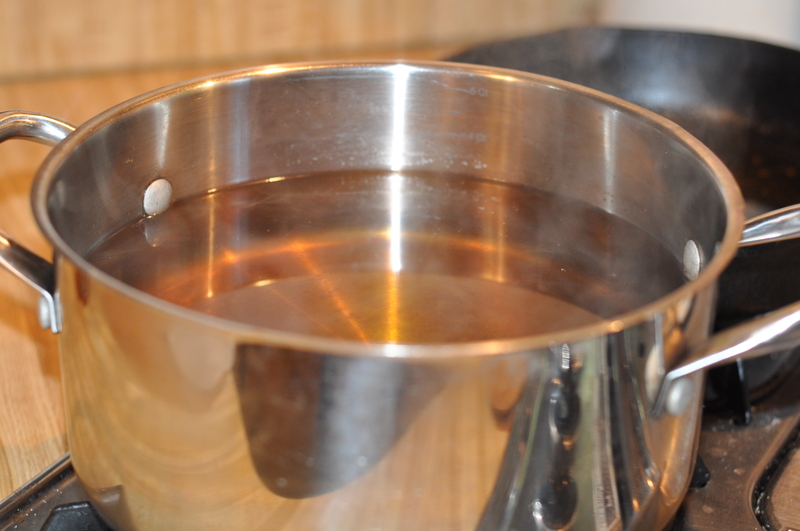 Once it boils, add 1 cup of sugar (no honey or it will kill the bacteria in the SCOBY). 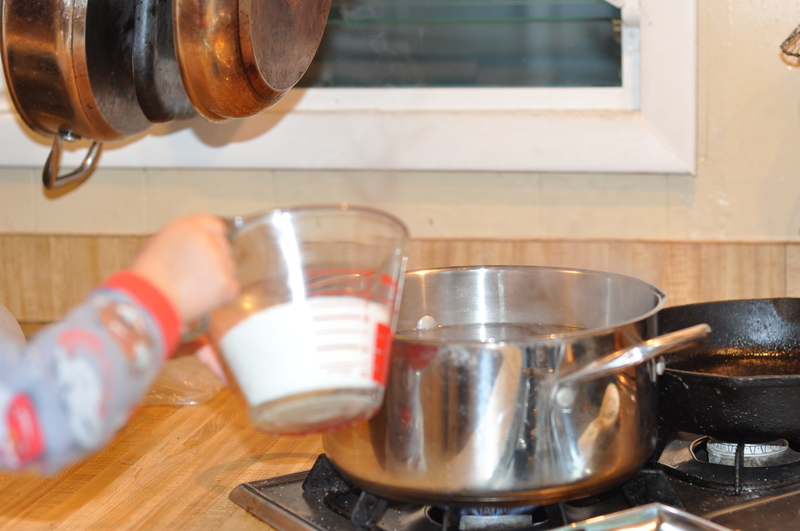 Continue to heat until the sugar is dissolved (less than 10 minutes). 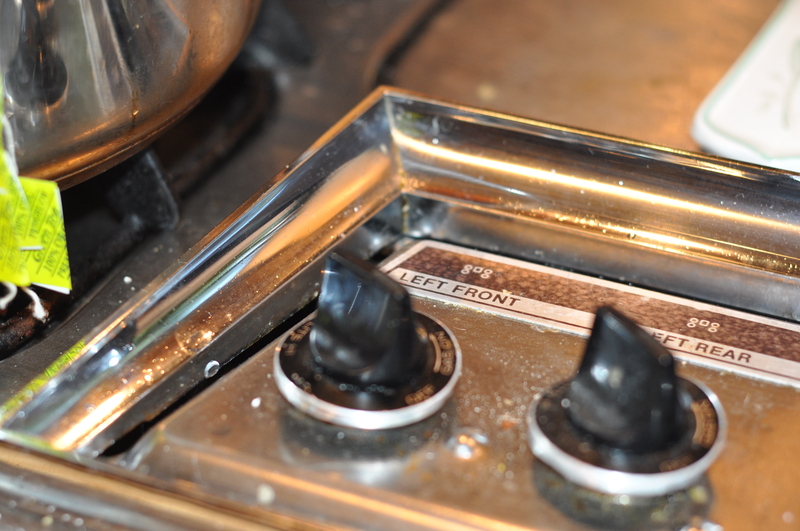 Step 2: Turn off burner and add 6 tea bags. 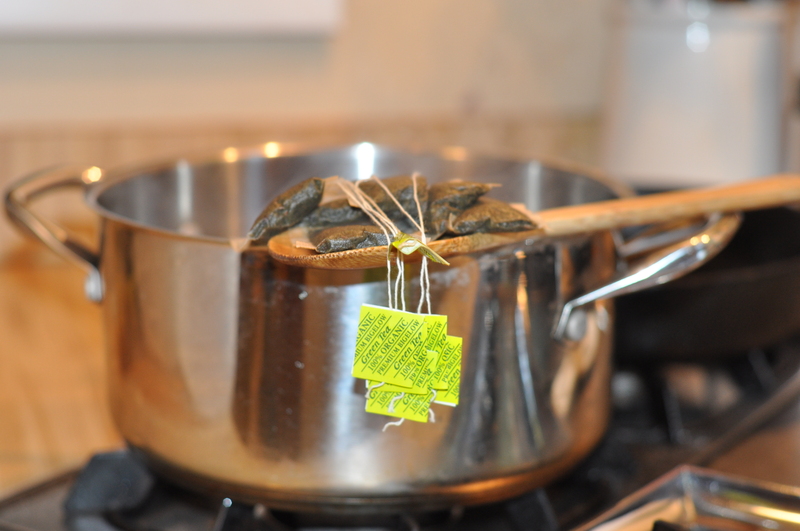 Steep for 5-10 minutes, then remove and discard tea bags. Step 3: This is the most important step. 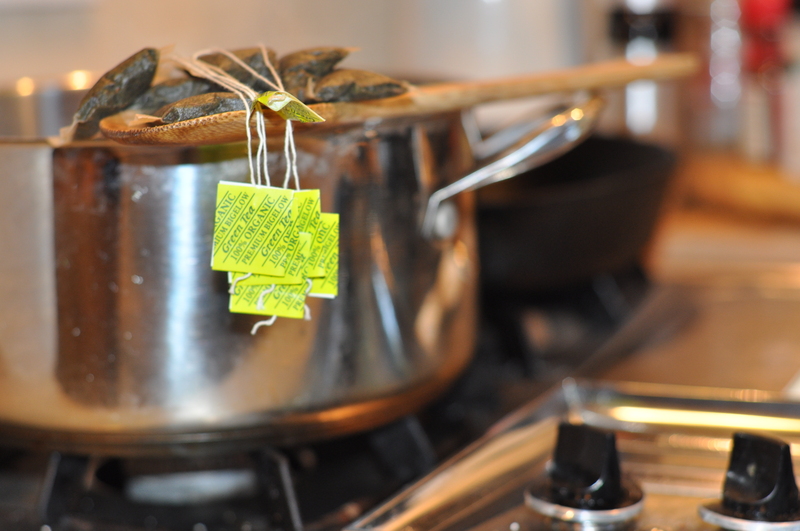 Allow the tea to cool to room temperature. Be patient. I usually start my tea early in the morning and then allow it to cool most of the day (allow it to cool covered to prevent dust, bacteria, etc from contaminating your tea). 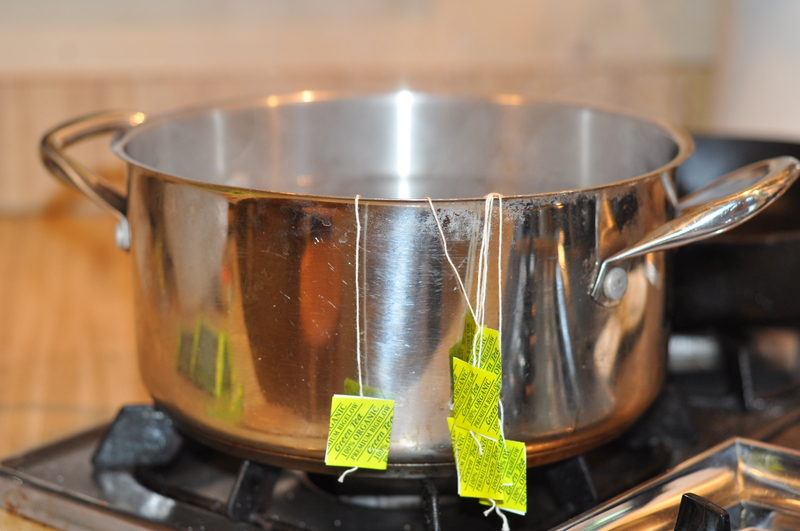 Step 4: After the tea has cooled, add your SCOBY and starter to the room temperature tea. 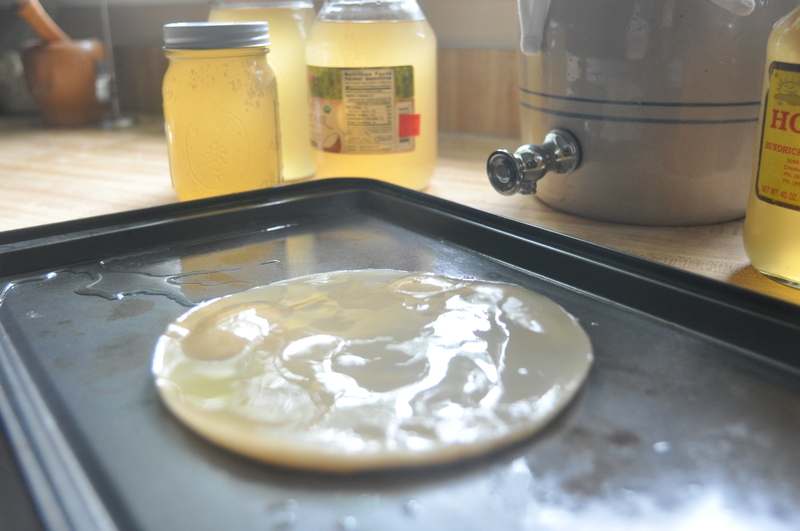 If you only have a SCOBY but no starter kombucha, you can substitute apple cider vinegar. 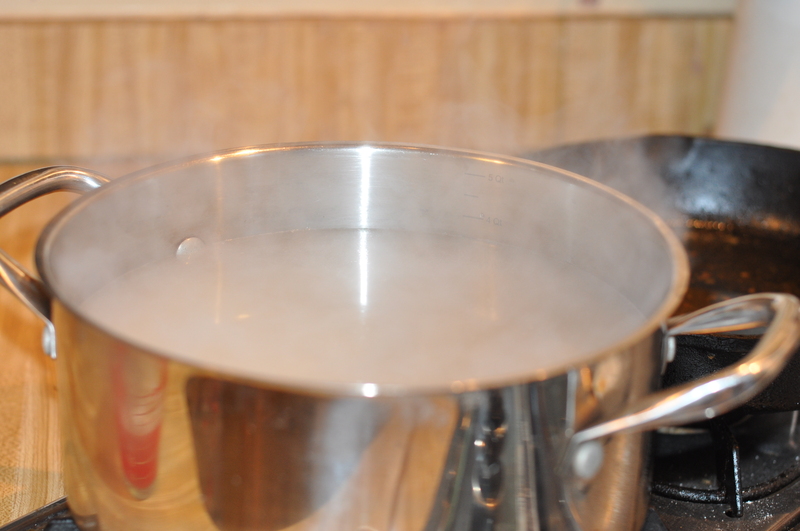 If this after your first batch, your SCOBY and starter will be in your container. 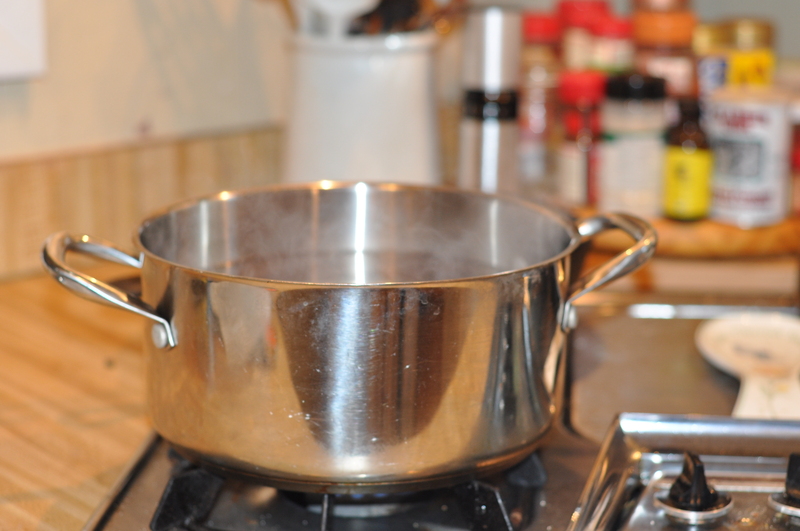 Step 5: This step will not apply to you until the second week if this is your first batch. Because I do a continuous brew, I have kombucha from the previous week (it has already gone through the 1st fermentation, usually 7 days). I try to use fruit that is in season or something I already have in the kitchen. 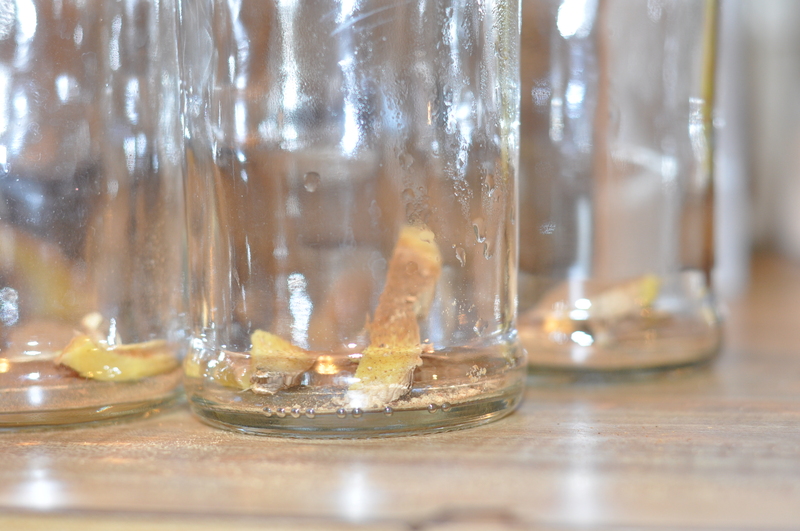 Ginger-lemon is a go-to recipe for us because it is simple, refreshing and it is usually ingredients we have. Here is a suggested list of kombucha flavors. After the first stage of fermentation is complete (again, after about seven days) add the ingredients into the bottles (amber-colored bottle are ideal because they block any light)*. 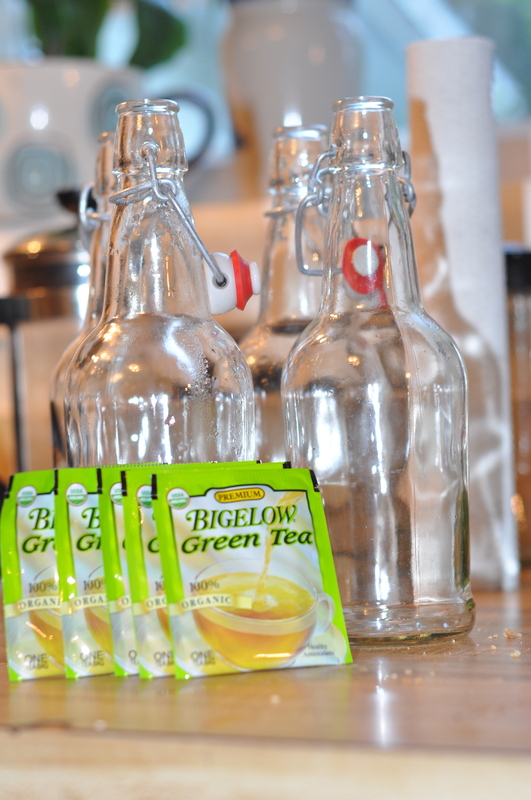 Then pour your kombucha into the bottles with room at the top, cap and store. In your ceramic or glass container you need to leave at least a 1/4 cup of starter in the container for your next batch (for continuous brew only). You need to find a place to store the bottled kombucha that is away from sunlight and maintains room temperature (I came home one day to peaches all over the kitchen because one of my bottles had exploded). The second stage of fermentation creates carbonation, which creates pressure in the bottles. 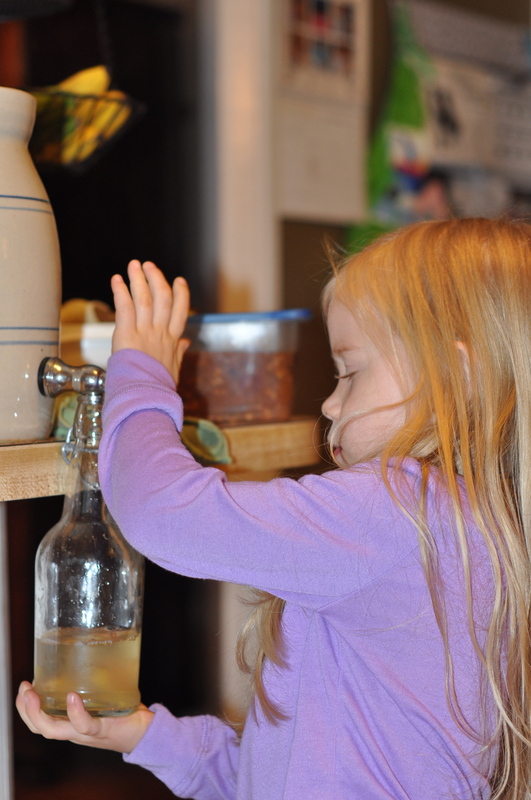 You need to make sure you have enough head space to allow for carbonation without exploding bottles. UPDATE: You can still enjoy Kombucha without doing a continuous brew. This method is for you if you/your family will not drink 6-7 bottles a week. Simply store your SCOBY and starter in a Mason jar with breathable fabric, after you bottle your Kombucha. 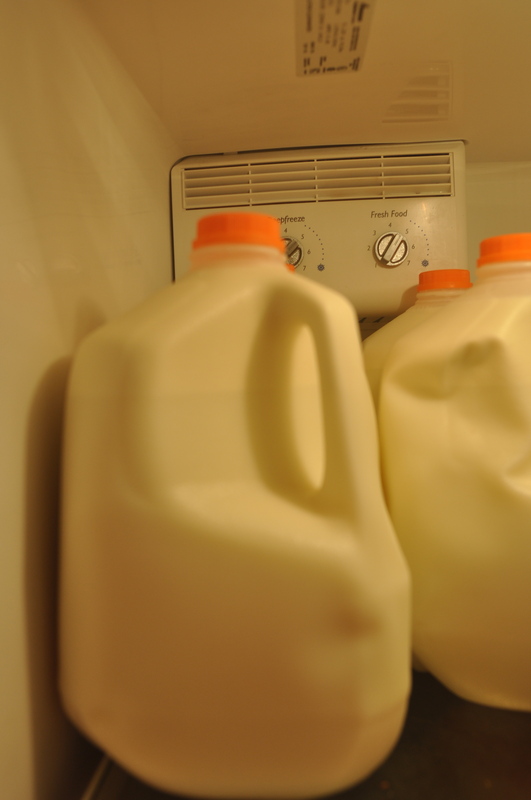 It can live on the counter for quite awhile (keep it away from sunlight and excess heat). You need to check and make sure it has enough liquid every once in awhile. Just remember, it will take another 7 days once beginning your process again to bottle the Kombucha, so plan accordingly. Step 6: Cover with a breathable fabric (cotton, cheescloth or papertowel) and a rubber band. Now, sit back and watch the coolest science experiment! 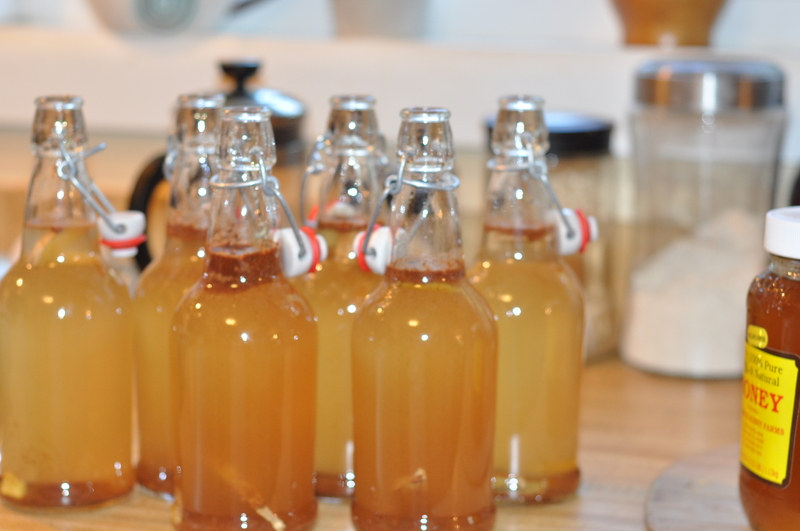 Your Kombucha will be ready to bottle after at least 7 days. A new SCOBY will begin to form on the top after a few days. Don’t fret; this is completely normal. Step 7: After 7 days, go back to Step 4. If you choose to continuous brew, you will repeat these steps once a week. Have fun trying different flavors and don’t give up if you mess up. I always have extra SCOBY’s so please let me know if you want one! 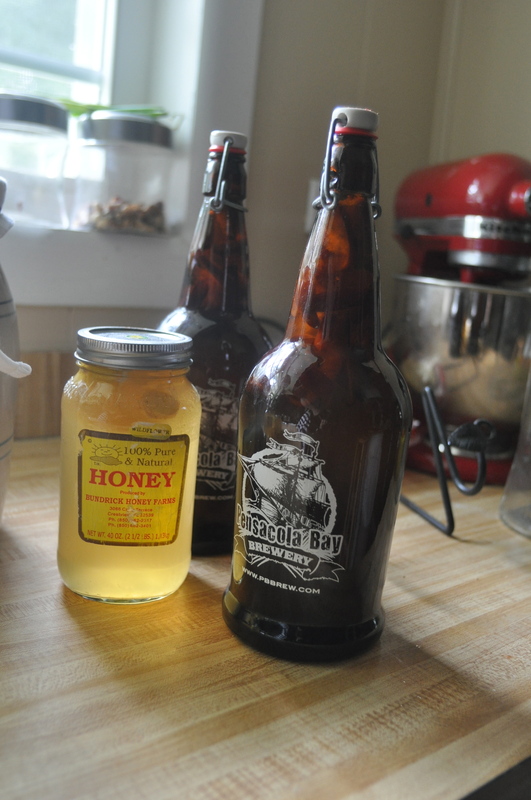 *If you don’t like carbonation, you can store and flavor your kombucha in non-airtight containers (like Mason jars). It will taste more like tea and less like soda. 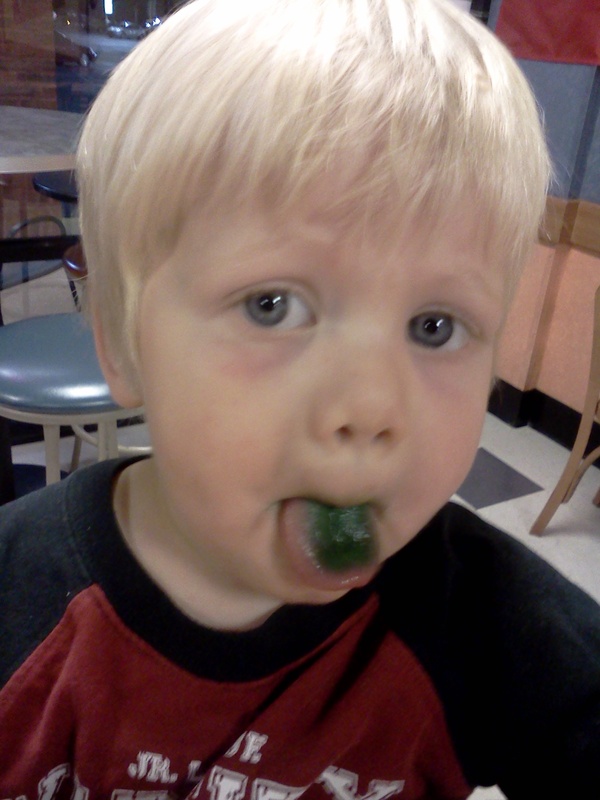 My kids like it either way, but Adam and I prefer the carbonation. UPDATE: A few things I have learned since this post. The bottled Kombucha only takes about 4 days to carbonate in airtight containers (depending on the weather). 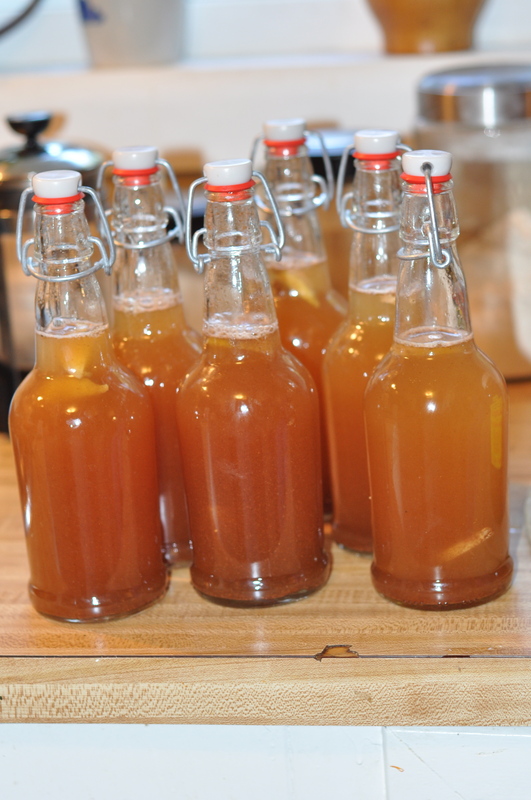 During the winter, Kombucha will take longer to carbonate. 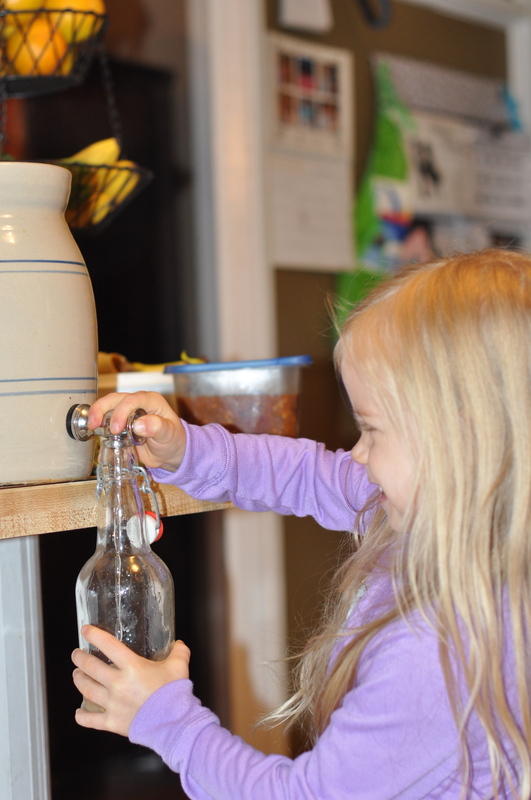 Once your bottled Kombucha reaches the carbonation you desire, pop it open and drink up OR stick it in the fridge. IF you let it carbonate too long, it will explode like Champagne when you open it. Another thing I have learned is the art of how to use the flavors correctly. Lemons and other acidic fruits that have a rind (lime, oranges) need to be juiced to avoid a bad aftertaste (acidic fruits also carbonate quicker as well). 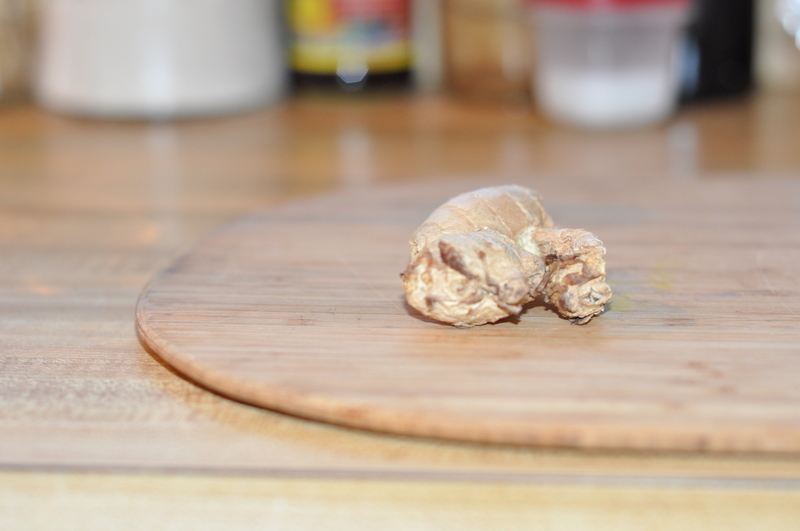 If you add ginger to any flavor, it will speed up the carbonation process so be careful how much ginger you use in each bottle. You really only need a tiny slice. For most flavors, I use 1 tablespoon of juiced or pureed fruit. For fruit I do not juice/puree such as blueberries or pineapple, I use enough fruit to cover the bottom of the bottle with 1 layer. Again, experiment with what you like and have fun! 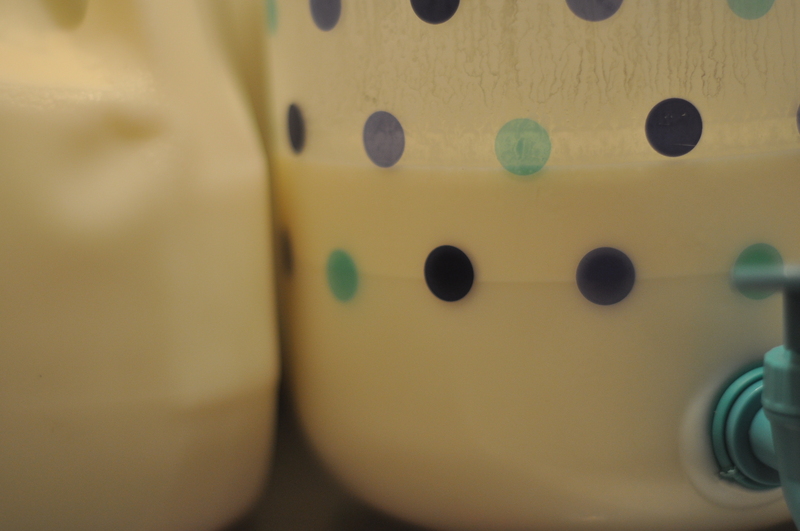 *Side note: I have been having a hard time getting cream only when the cream separates from the raw milk. I had been pouring it off the top which works for the first few ounces. 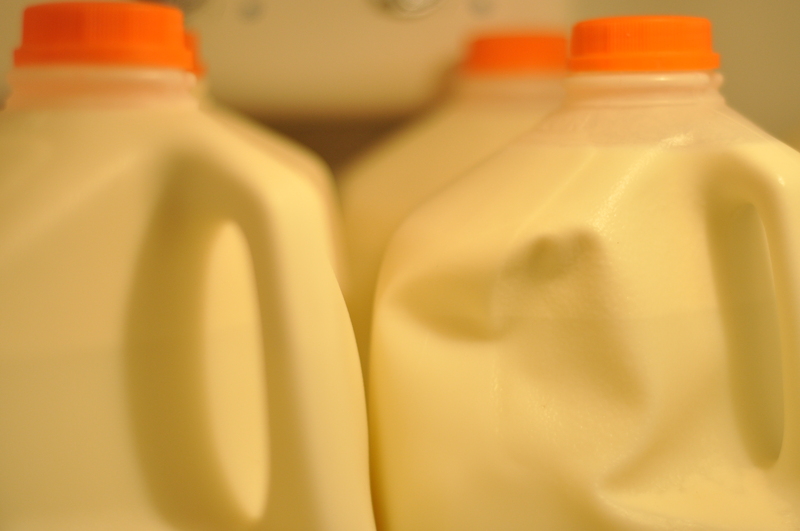 A friend of mine suggested pouring the milk into a container with a spigot and then after the cream separates to the top, using the spigot to drain the milk and then the cream will be left. This has been a great suggestion. 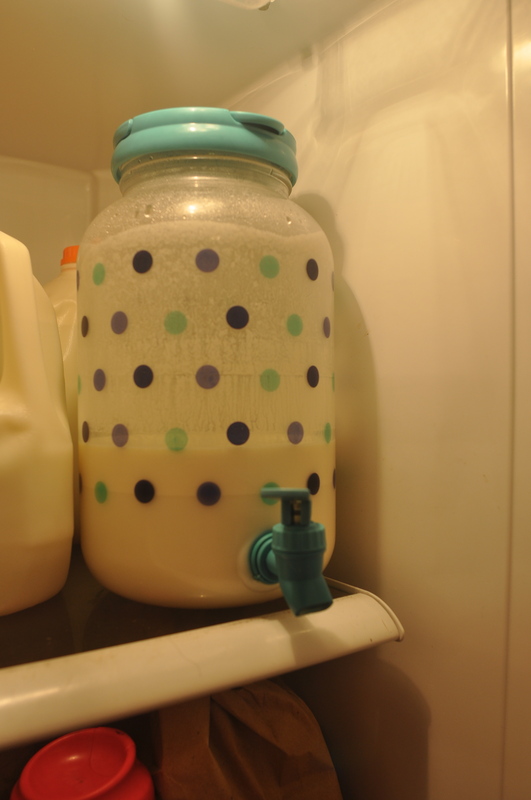 We use the cream for our coffee and now when I pour the kids milk twice a day, I just open the fridge and use the spigot. Back to butter. I used a larger portion of fresh cream this time and a larger container and we all shook until our arms were like jell-O. That is for the birds. 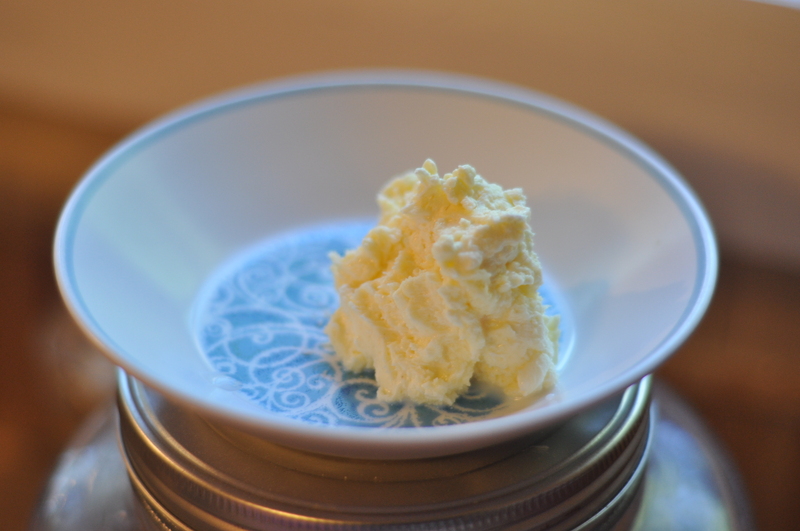 (I have a butter churn but the churn portion is broken so that was out). I read you can use a food processor so we tried that. The result is delicious however it makes such a small amount. 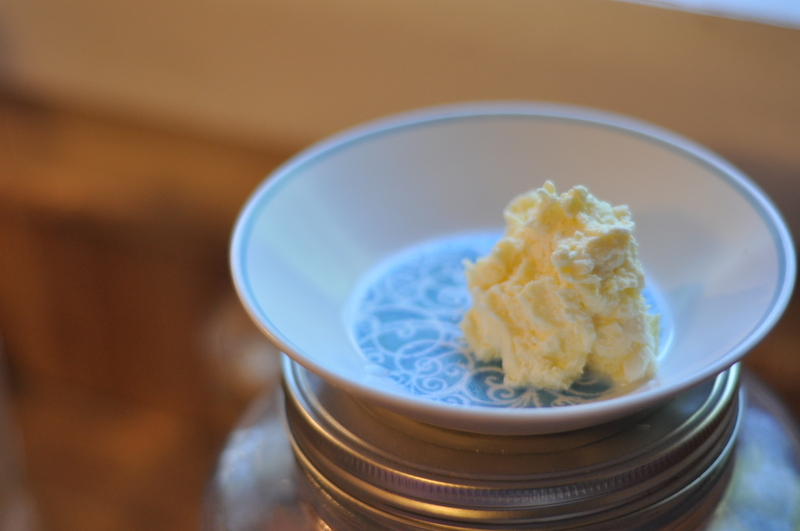 My conclusion is that for now I will continue to buy Amish butter and occasionally the kids and I will enjoy a few bites of my fresh butter. 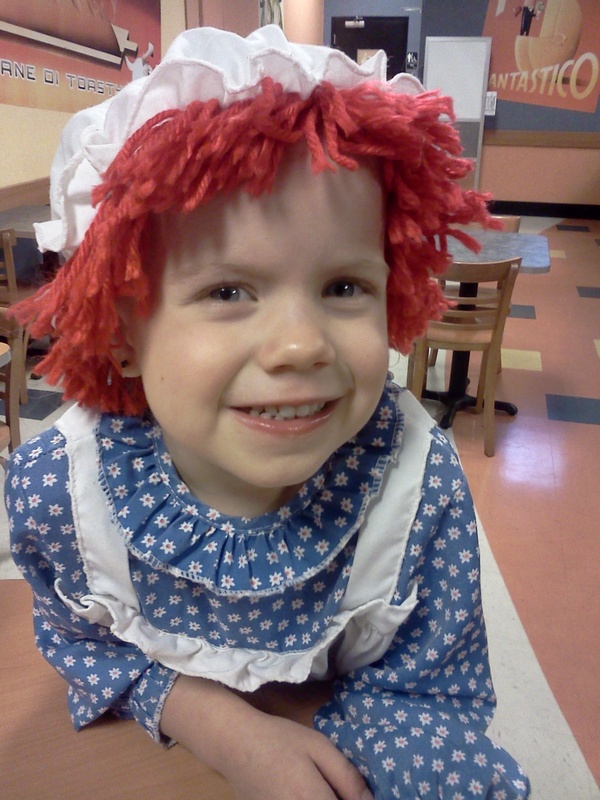 We don’t do a lot for “Halloween” as far as decorations and talking about it with our kids. 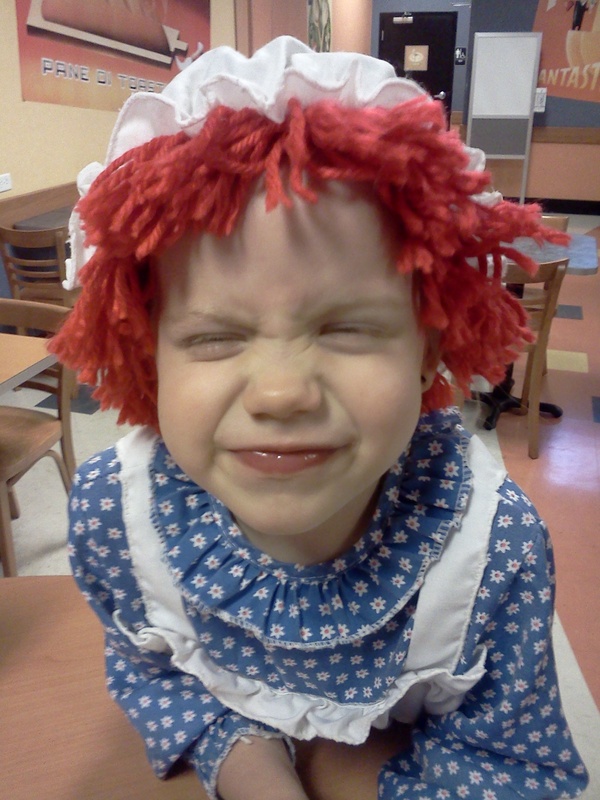 However, I like the idea of letting the kids dress up. 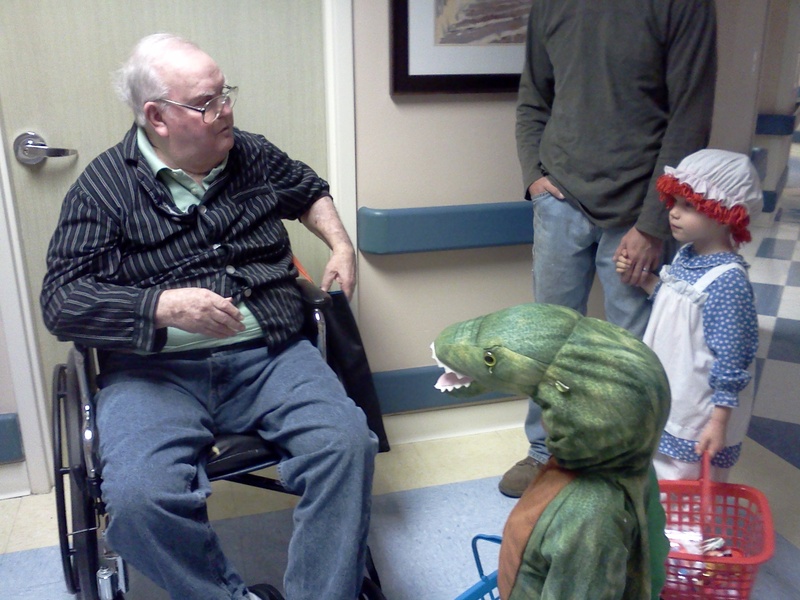 Last year we attempted to go “trick or treat” in a neighborhood. For those of you who don’t know, I am not a big fan of large crowds. Needless to say, the neighborhood was packed. 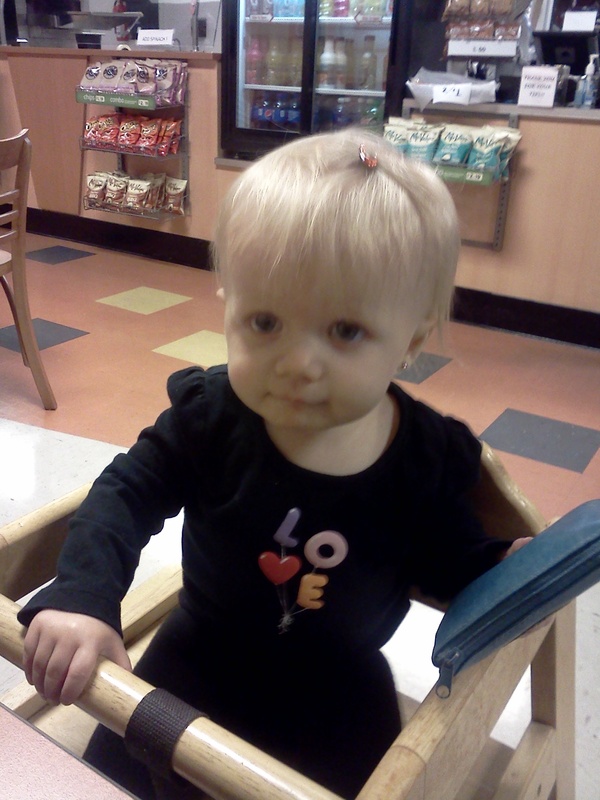 There were kids everywhere and cars all along the road, which allowed little room for a double stroller. 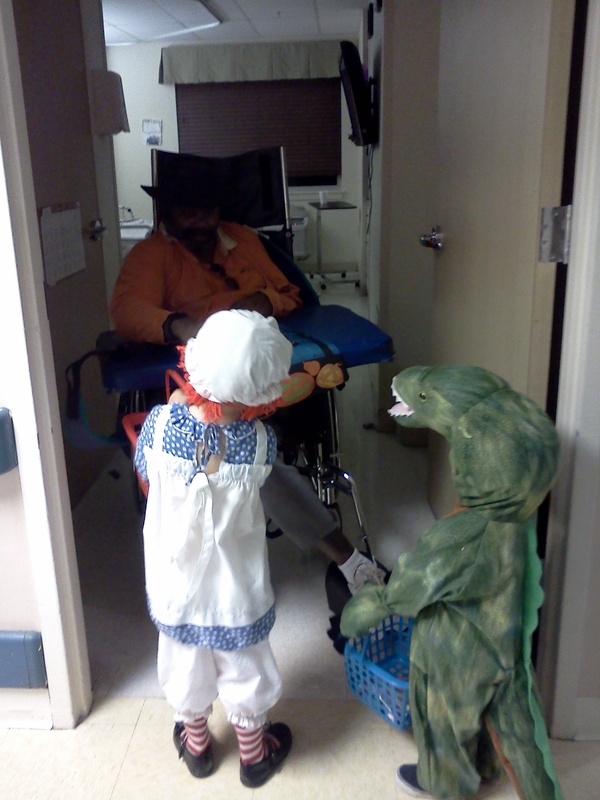 So last year we started a tradition of going to one of the nursing facilities where I work. Last year Adam didn’t go with us (he is not a fan of large crowds either so when he heard we were going to a neighborhood, he decided to not attend). 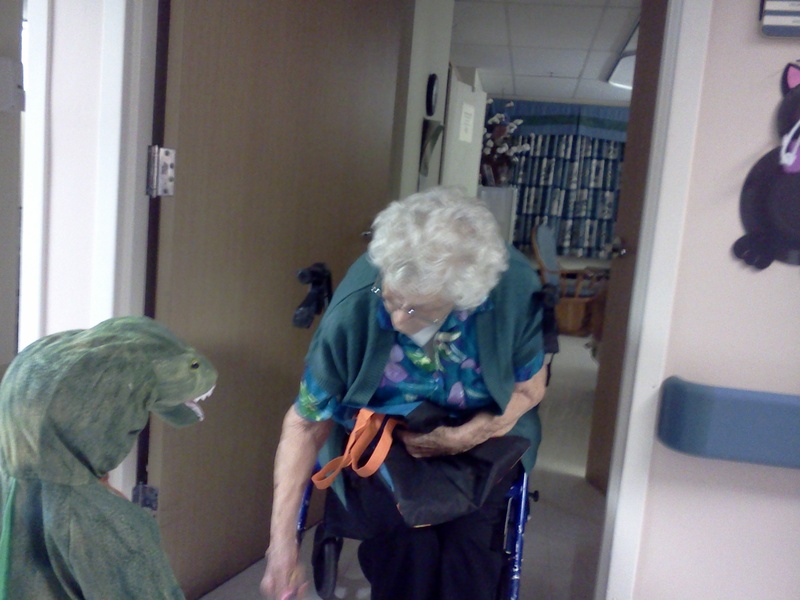 This year we decided to plan on only going to the nursing facilities. 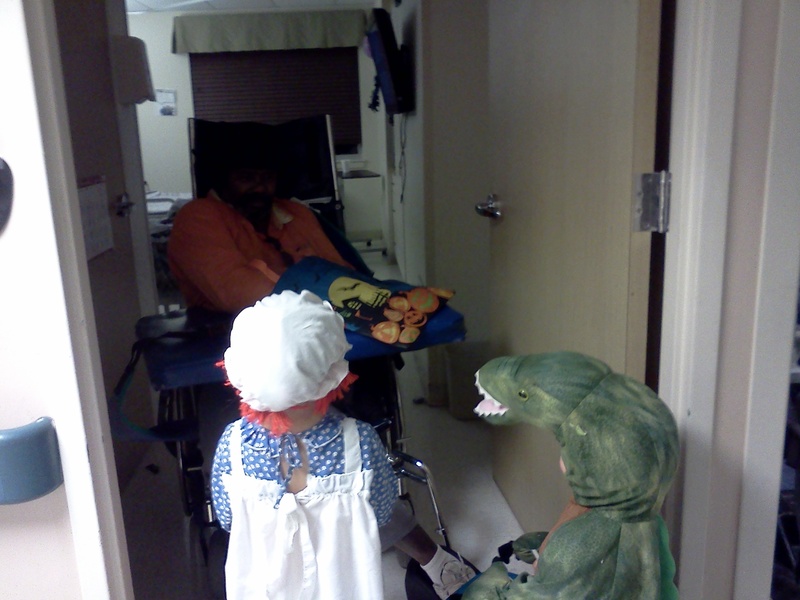 Earlier that day the kids and I attended a fall festival at one of the local nursing facilities. 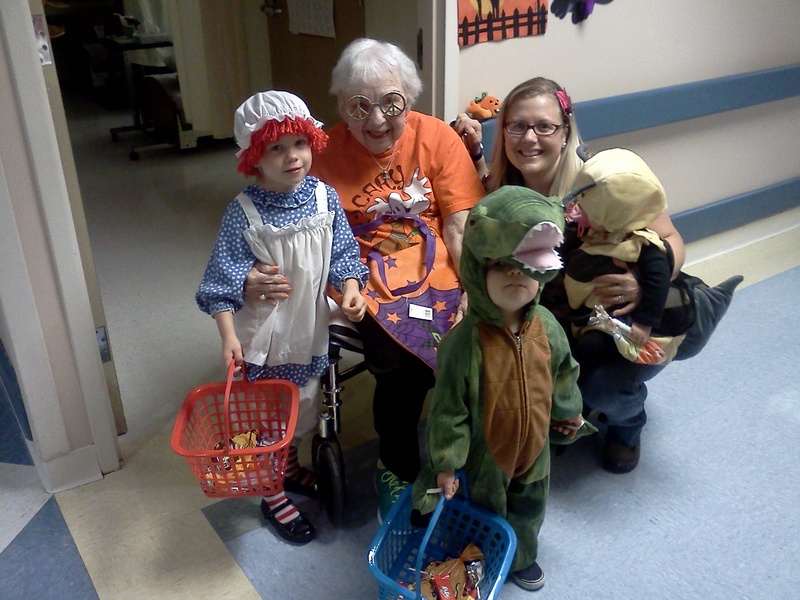 The residents were so happy to finally meet my kids and my co-workers had a blast giving them candy, especially since they know my kids rarely get candy! 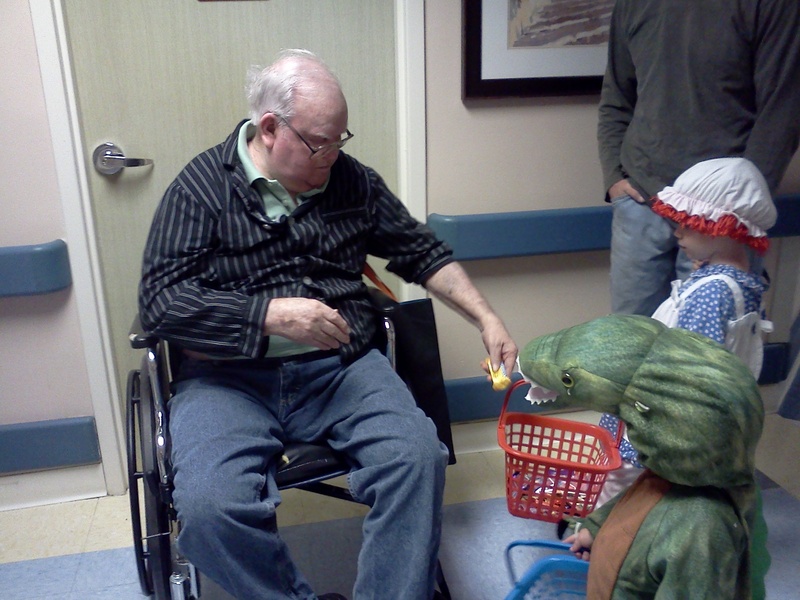 Later that evening Adam and I took the kids to another nursing facility where I have worked the longest and the one we went to last year. 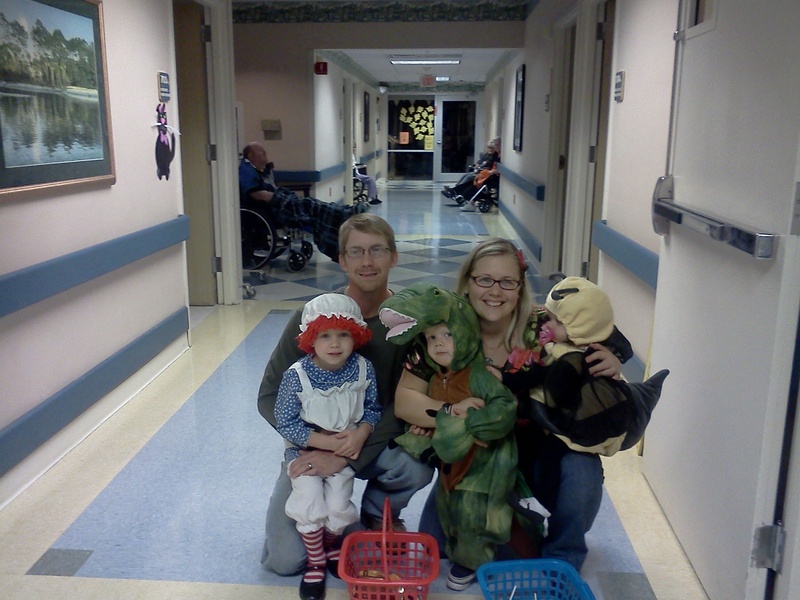 Words cannot describe how much fun we had and what a blessing it was for our family. 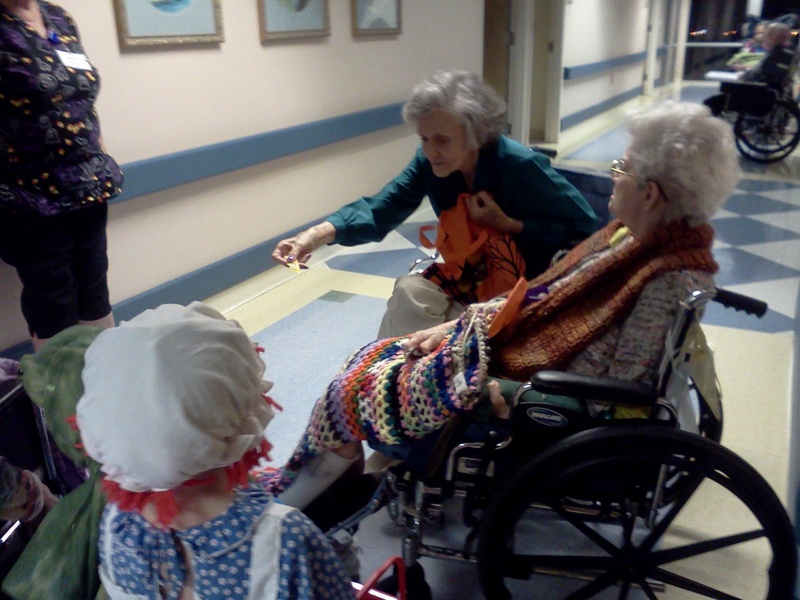 It was so rewarding to see the smiles on the residents faces and to hug their necks. 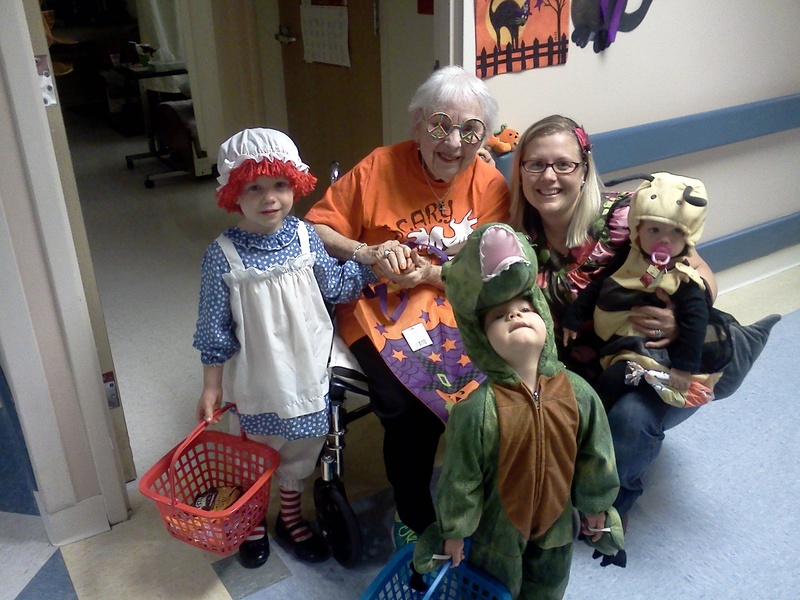 We will definitely continue this tradition not only because it is safe and warm in the facilities but because of the blessing it brought our family as well as the residents that I love so dearly. 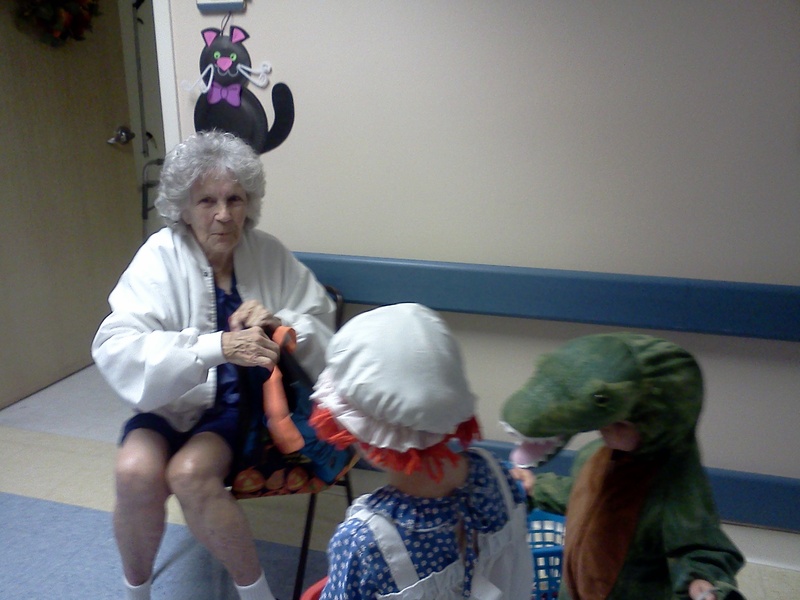 If you are looking for a new tradition, I would recommend to check out your local nursing facilities for next year’s fall festivities. You will be blessed! 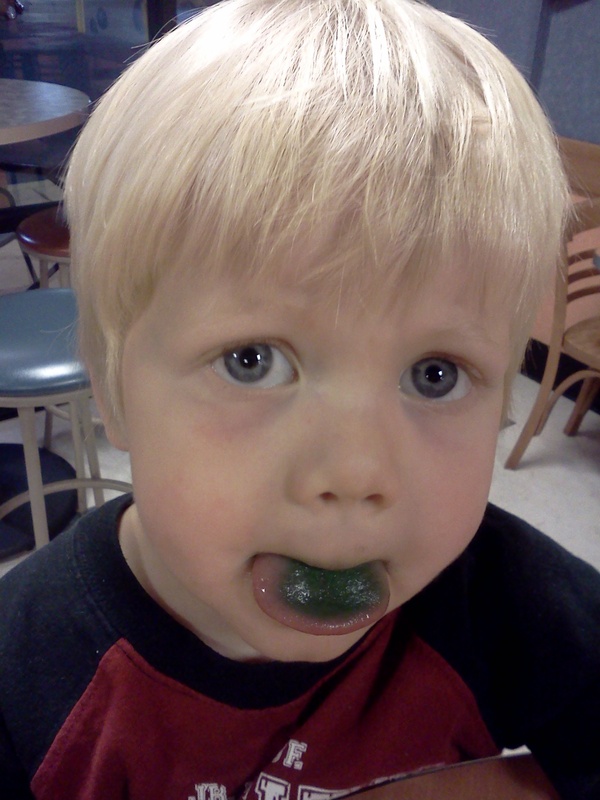 G was excited about a sucker turning his tongue green!